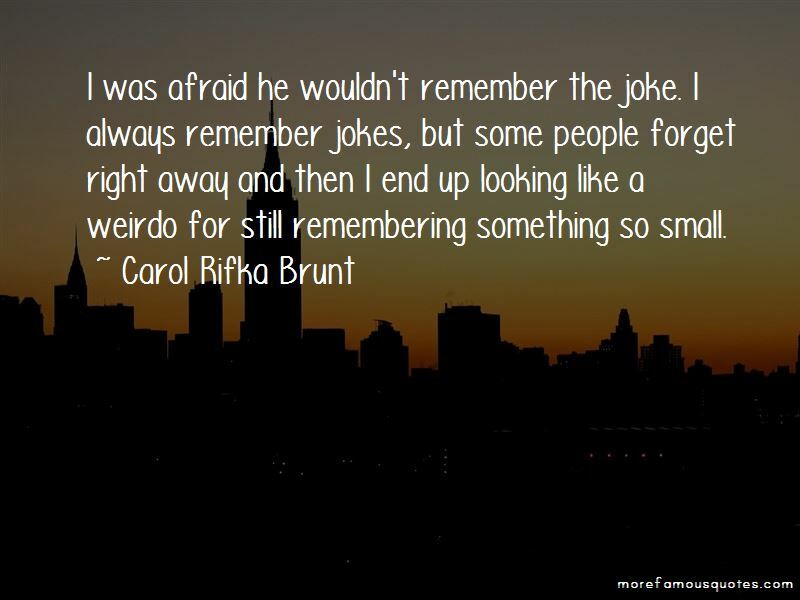 Enjoy the top 117 famous quotes, sayings and quotations by Carol Rifka Brunt. Because maybe I don't want to leave the planet invisible. Maybe I need at least one person to remember something about me. I had no idea how greedy my heart really was. I only need one good friend to see me through. Most people aren't like that. Most people are always looking out for more people to know. What if you ended up in the wrong kind of love? What if you accidentally ended up in the falling kind with someone it would be so gross to fall in love with that you could never tell anyone in the world about it? The kind you'd have to crush down so deep inside yourself that it almost turned your heart into a black hole? The kind you squashed deeper and deeper down, but no matter how much you hoped it would suffocate, it never did? Instead, it seemed to inflate, to grow gigantic as time went by, filling every little spare space you had until it was you. You were it. Until everything you ever saw or thought led you back to one person. The person you weren't supposed to love that way. People didn't know everything then. There were things people had never seen before. Places nobody had ever been. You could make up a story and people would believe it ... also maybe it seems like it would be okay not to be perfect. Nobody was perfect back then. Just about everyone was defective, and most people had no choice except to stay that way. You can't keep friends if you always say no to things. Maybe there's a whole assortment of impossible people waiting for me to find them. I'm okay with one or two people, but more than that and I turn into a naked mole rat. Hm-hm-hm, his laugh went. Like he'd swallowed the sun. Until the last light faded. Until the space between the tree branches and the branches themselves became the same dark thing. 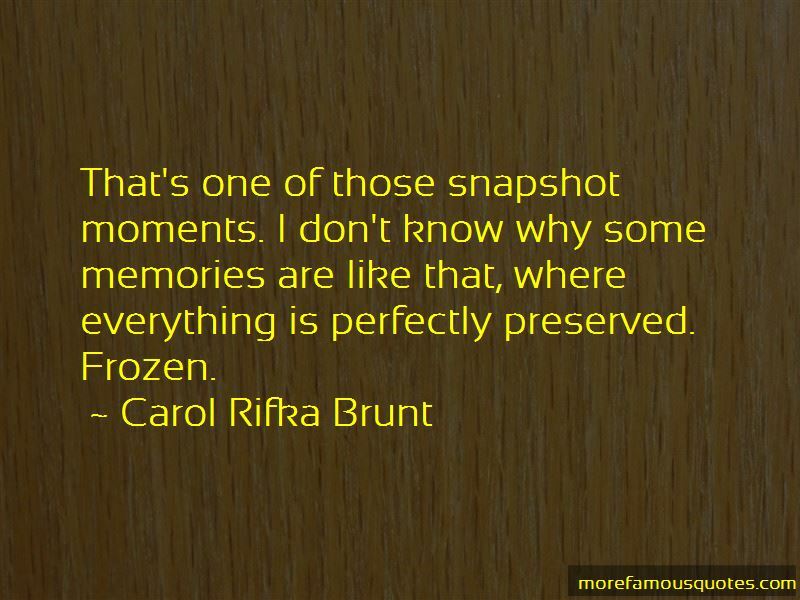 Want to see more pictures of Carol Rifka Brunt quotes? 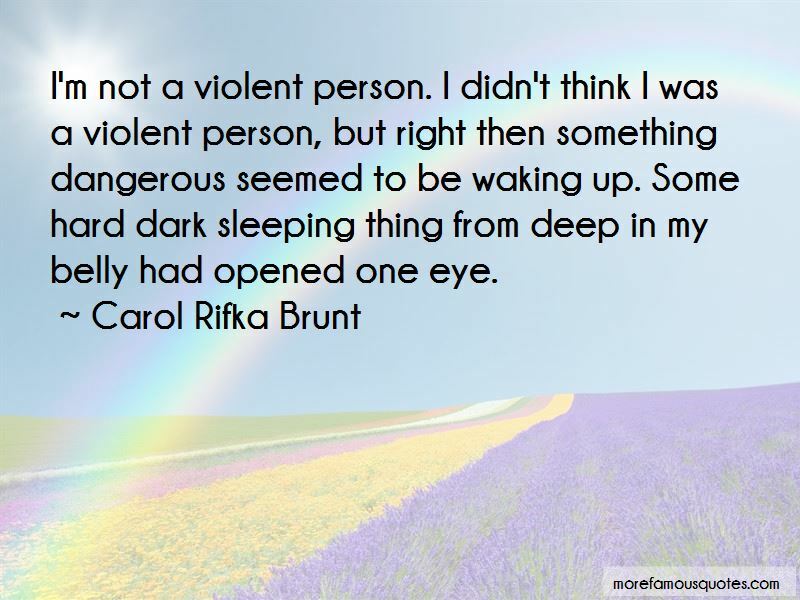 Click on image of Carol Rifka Brunt quotes to view full size.